For those of us who come to AUT Millennium every day or every week, it’s easy to become complacent about the uniqueness of the facility. But for children from Ruawai Primary School in Northland, their recent “Camp AUT Millennium” experience was something they’ll never forget. For five days, the group of 28 Year 5 and 6 students were fully immersed in the Camp AUT Millennium experience. Staying in the on-site accommodation, the group jumped head-first into team building activities, sports and leisure activities and a few off-site excursions. Parents and teachers were on hand to supervise, while the AUT Millennium Schools Programme instructors lead the children through the activities. Students had the chance to get involved in Flippa Ball, rock climbing, athletics, kayaking and water safety education. “Some of our students don’t have the opportunity to take part in these types of activities,” says Adele. “We do have a pool at our school, though, and we saw lots of schools coming in to have swimming lessons at AUT Millennium. 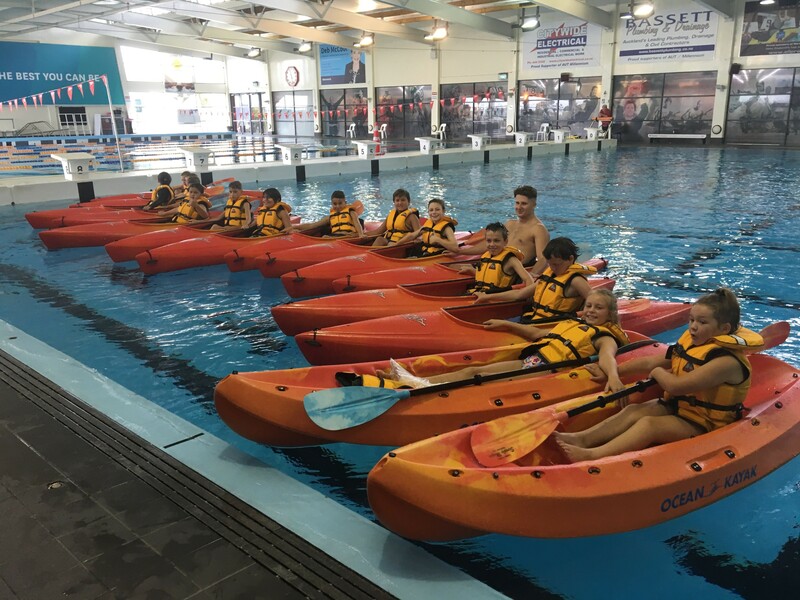 It was a nice reminder to our students that we are lucky to have a school pool.” Particular highlights for the students were the challenge of the rockwall and the novelty of the deep pools, as well as trips to Auckland Zoo, Rangitoto Island and tenpin bowling. Ruawai Primary School students enjoying the Education Outside the Classroom activities.